Glad your weather is better Brandi!!!! I think we have about 50 mph wind. I am so happy for you Sister!!! 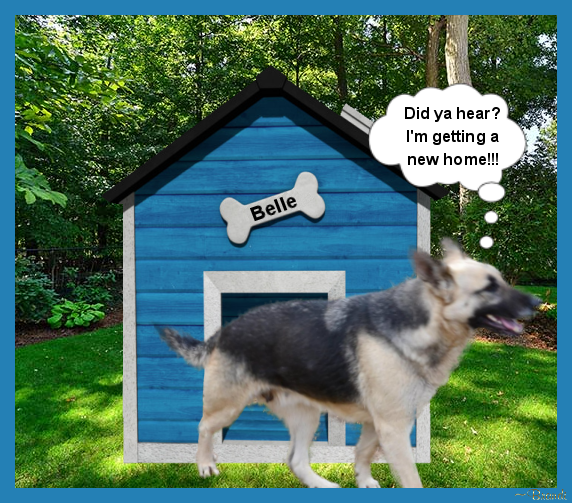 Thanks for the transporters and thank you for Belle being blessed having a new forever home. So happy for you and Belle Sister! Yeah.......welcome to our newest monkey Belle. Brandi that is a great picture of her once again you have done it. Sister enjoy your new furbaby. Sister So happy to see Belle made it home. She is a beauty. How are you two adjusting to each other? What a happy day for you both. Can't go wrong with a spectacular beauty as Belle!